There’s you and seven billion other people around the world. There is you and the world you see and experience. Everything you hear, think about and choose to notice is in your world and really only understood by you. That’s one world. Then there are the seven billion other worlds “out there” in all those other people’s heads. Every conversation you have is interpreted slightly differently, with slightly different values, attitudes and beliefs that affect what others think you are really trying to say to them. Okay, stop and rub your brain for a second. Then look at the picture below. What are the first words that jump to your head to describe this person? Know I will never impress them…even if I feign interest/knowledge in that new ‘single origin blend’ (whatever that means). Some sort of nonchalantly delivered witticism goes down really well (like the single blend from the west coast plantation of the wind-soaked lands of Seychelles)…if it is timed right. Even if they don’t smile or acknowledge your brilliant joke or observation, you know they are bursting with laughter inside (maybe). The way I interpret, interact and investigate the world is very different to my local baristas. What I think is really important to speak and learn about may not interest them at all, although I am really not sure who wouldn’t enjoy speaking about growth mindsets, ways to build up mathematical strategies or LeBron James. People all place greater and lesser value on different things, take or accept offence to different things and choose to invest their time into different knowledge to you. These different views of the world not only affect our interests and values, but also the way people view their own potential and abilities. People’s mindsets can greatly impact their lives. Sometimes all it could take is one great mentor or teacher and people’s lives can change forever. Recently I have seen this first hand. A student in my class (relatively new to our school) would often comment about his inability to write anything because he is simply stupid, dumb and unable to spell anything. His mindset, belief and overall reputation as a learner was highly negative and fixed. The creativity within this kid is absolutely incredible, but he had been taught to value spelling over the ability to effectively communicate ideas in writing. He had grown to believe that others viewed him as a worthless writer. 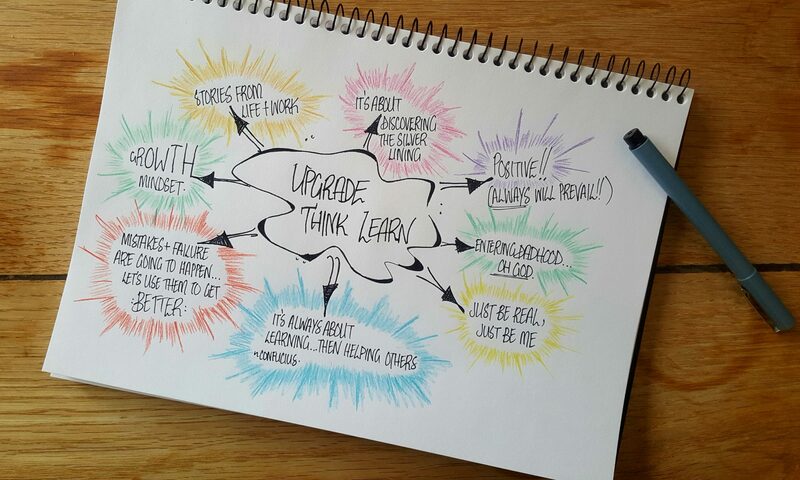 His reputation was becoming self-fulfilling…until he used an activity from class to help him not only upgrade to a growth mindset but also upgrade his reputation. It’s about adapting your way of thinking to create a brand new reputation – one you completely believe in and value. What reputation do you want? Is it a positive reputation? Do you want others to view you as trustworthy or knowledgeable? Do you want to be known as the ‘creative one’ who constantly sees things in a different way? To start with this upgrade you need to focus on two things: what you want others to think of you and what traits or qualities you view as valuable and worthwhile. Let’s begin to work out that reputation you want. It starts off by setting up three lists for the groups of people you spend your time with: friends, family and colleagues. Or, if you want to be fancy you can make a tri-venn diagram and really look professional. Choose a group of people you would like to focus on first. With kids I usually start with family as it is an easy way to get them thinking from others’ perspectives. The idea is to only spend a 2 or 3 minutes on each section. It’s about responding quickly and welcoming the emotional judgement controlled by your lovely limbic system. Complete all three sections. Then take time to locate words that overlap across each group. Then find the words that are in all three groups…this is the reputation you are seeking and qualities you value. From experience this will be around 3-6 words or phrases. You also get to choose one or two qualities or traits that weren’t mentioned but you want to make a commitment to further developing (anything more than this and you probably didn’t work through the initial part properly…or you’ve got to focus on upgrading those relationships with friends and family). Now the final part: commit to how you can achieve this reputation. These will be short, specific actions that you can clearly do. Want to be more artistic? Study and experiment with different types of art. Fancy being empathetic? Stop and think before speaking, find another perspective before acting or commit to asking others for their views. Remember, it’s about you helping you, so step up, find the time to look forward to the challenge of reaching that potential reputation.